Hillel is open to all students whenever and however they want to participate. There's no such thing as being a "member" of Hillel. Hillel isn't a club to join, but rather a connection to explore. Hillel is an open and pluralistic community that partners with students to help them explore their Jewish identity and desires. Student involvement can range from occasional attendance, to organizing programs, to making policy decisions. The Hillel Student Board is a dedicated group of students who meet regularly to plan and organize Hillel programs. 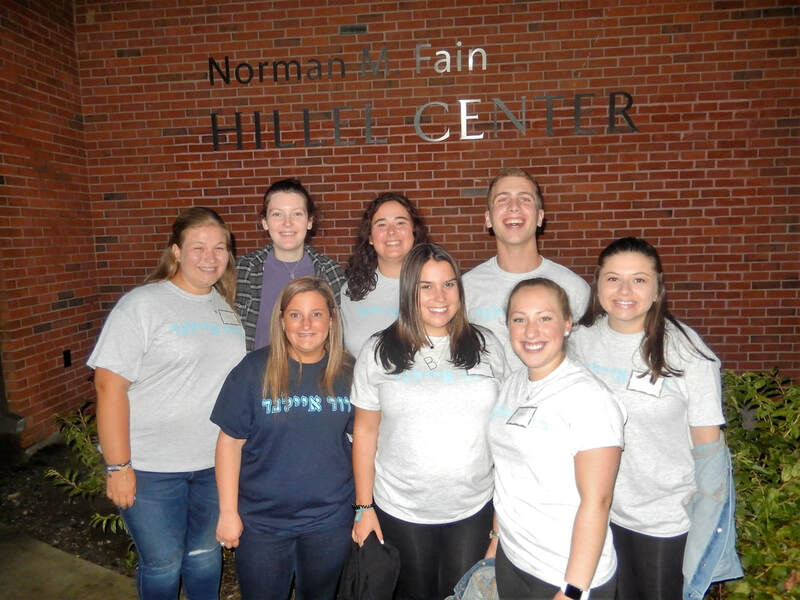 As a recognized student group at the University of Rhode Island, Hillel elects or appoints student officers each year, but all students are invited to attend student planning meetings, to suggest programming ideas and to organize and run activities. If you would like get more involved, please contact one of the Hillel Staff, Amy Olson, Emily Yehezkel, or Student Board President, Max Zavell. We want Hillel to be your home away from home. There is always someone here to talk to and make you feel welcome. In addition to our building being a great place to hang out, we have lots of fun and educational events and a great program called FYSH (First Year Students at Hillel), which sponsors activities designed specifically for freshmen. For more info on upcoming FYSH events contact Sydney or Michelle, the 2018-2019 FYSH chairs.